Originally printed as 4 Volumes. 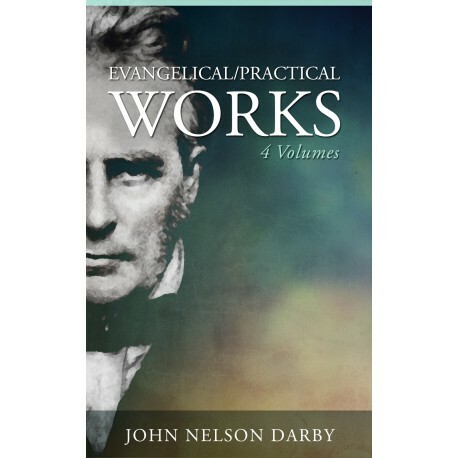 Also available as part of the Collected Writings of John Nelson Darby. There were three things which the Lord Jesus had to encounter, and to triumph over, and which were ever before Him-death, guilt, and the power of Satan. The union of these against Him was the "power of darkness," which He acknowledges to the multitudes who came to apprehend Him" This is your hour, and the power of darkness." Now these were the three great enemies which were against us. We had sinned, and God had declared, "The wages of sin is death." We were guilty; and condemnation could not be put away but by the removal of the occasion of it; and Satan was manifestly against us, as an adversary to our final freedom. Now the Lord Jesus Christ had just to meet all these, and if they were overcome in Him, as the federal Head and representative of His people, then there was liberty-glorious and everlasting liberty.